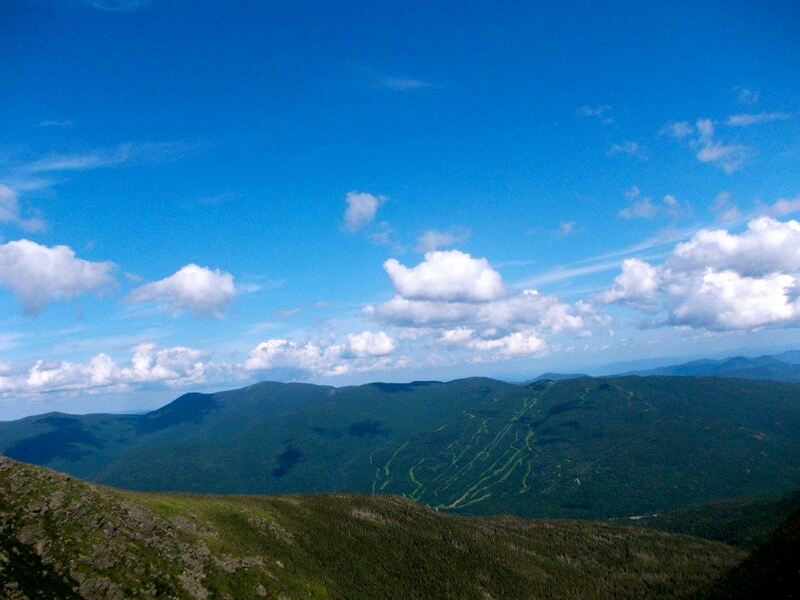 Of all the many peaks in the White Mountains, there is one that stands above all others. Yes, Mount Washington is the tallest mountain around; it is also the peak that draws an estimated 50,000 hikers each year. 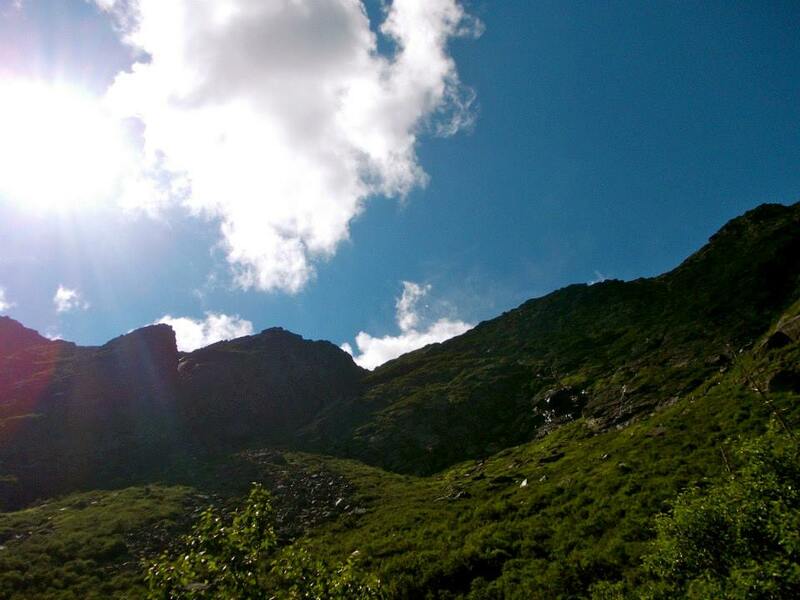 Several routes lead to the summit, each with its own challenges and rewards.The most popular trail is Tuckerman Ravine, and people looking to escape the crowds may take Boott Spur Trail. However, there is one trail far more challenging, and rewarding, than all others: Huntington Ravine. For our most recent ascent to the summit, my friend and I chose to challenge ourselves by taking the Huntington Ravine Trail. Extremely steep and exposed, Huntington Ravine is only for the strong and experienced. Parts of the hike are climbing on rock slabs that require techniques used in technical climbing. A fall from one of these spots can cause serious injury. Additionally, Huntington Ravine should only be attempted in fair weather. Low visibility and slippery rocks can be much more dangerous on Huntington Ravine than on other trails. However, when the weather is good the views from Huntington Ravine cannot be beat. On a clear day we could see well into Maine, and had perfect views of the high summits. The Ravine itself is lush and green at this time of summer, a beautiful place to be. 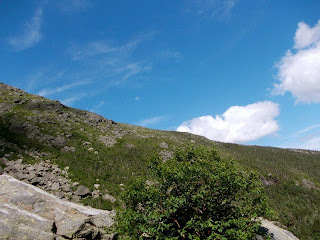 We started our hike on the Tuckerman Ravine Trail, hiking up 1.2 miles before turning onto Huntington Ravine Trail. The trail climbs and follows a river, before reaching the Harvard Cabin (open in the winter only). Heading past the cabin and into the ravine, the trail becomes a series of boulders that we had to climb over and under. This turned into typical alpine boulder climbing, as we moved from rock to rock. Higher up came the steep rock slabs, requiring us to scramble with our hands. Hitting the top of the ravine the trail evens out, with boulders and stone staircases leading the last section to the summit. 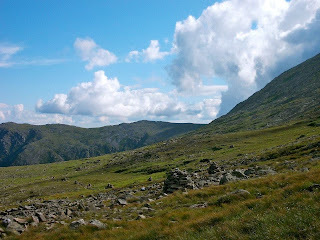 After reaching the top of the ravine we joined onto the Nelson Crag Trail, passing by the Alpine Garden Trail. Though peak season for alpine wildflowers has now past, the Alpine Garden still boasts beautiful views and some open, flatter, terrain. After passing the Alpine Garden, the Nelson Crag Trail leads all the way to the summit, crossing over the Auto Road and the Cog Railway. 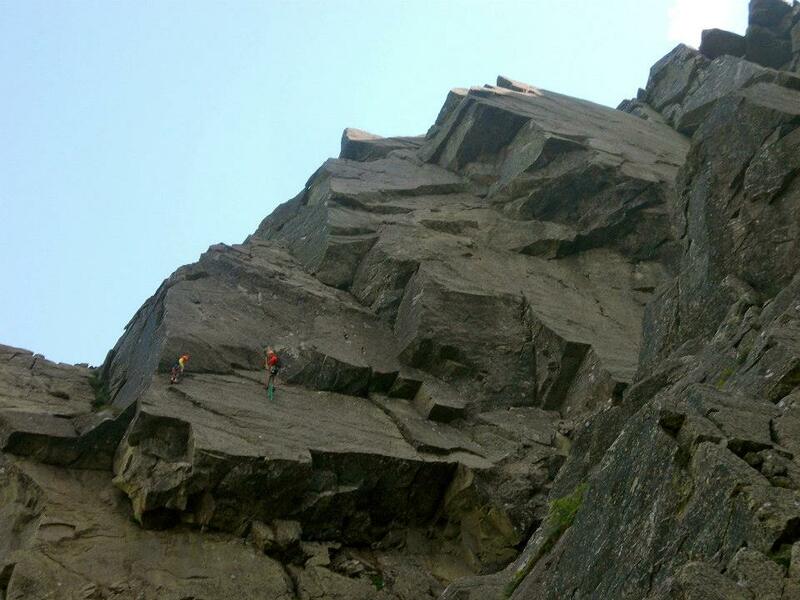 Huntington Ravine is also a hot location for rock climbers. 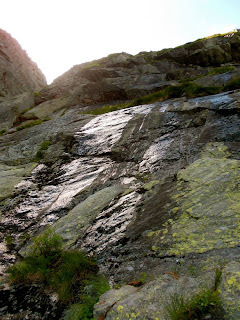 The Pinnacle Buttress, Pinnacle Gully, and the Central Buttress, among other climbs, draw many to their rugged walls. The main Huntington Ravine Trail runs close to these climbs, and on a good day one can see climbers on the rocks. Reaching the summit of Mt. Washington after climbing Huntington, the feelings of accomplishment were greater than normal for me. I always love to complete a challenging hike, but something made this day different. Maybe it was the adrenaline from the tough climbing, or the breathtaking views, or just the thrill of hiking a new trail, but this summit greatly enhanced my love for the mountains I live in. Though my day in the ravine was an exceptional one, the weather often makes Huntington dangerous to hike. It is highly recommended to check local weather conditions before heading out on a hike. The Mount Washington Observatory (http://www.mountwashington.org) provides a daily weather summary for both valley and summit conditions. For any general questions, conditions information, or trail advice, please feel free to contact us here at the Pinkham Notch Visitor Center front desk. We are available by phone at (603) 466-2721 every day from 6:30 AM to 10:00 PM or by email at amcpinkhaminfo@outdoors.org.